An archaeological dig in 2011 revealed that a settlement in Claregalway (around the site of the Castle) was the beginning of urbanisation in the county of Galway. 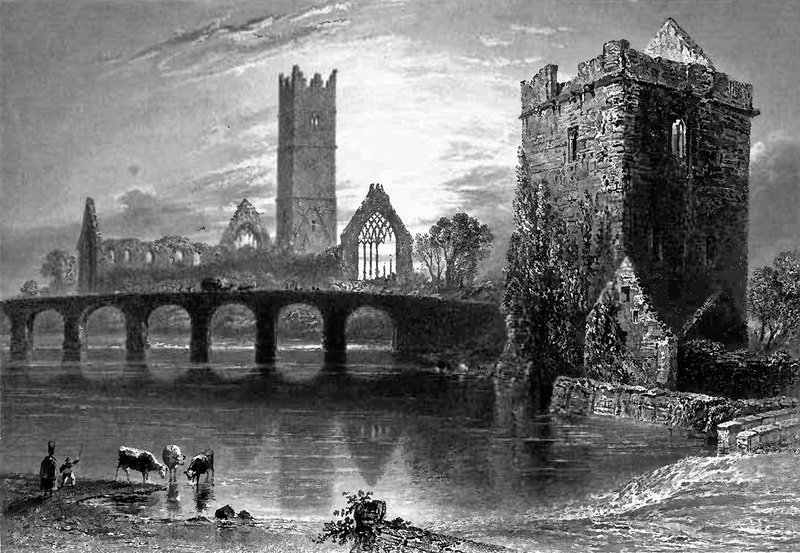 It would appear that even a millennia ago, Claregalway was bustling with human activity. The famous Claregalway Friary—the first Franciscan Friary in Connacht—was built in the early 13th century, establishing Claregalway as a religious hub for east Galway. The beautifully restored Claregalway Castle has withstood many battles over the centuries, helped by its strategic position on a curve in the River Clare. Boasting a recently refurbished western face, the magnificent Nine Arches no longer bridge the river, but remain an attractive landmark in Claregalway village. Modern day Claregalway is a vibrant hub, still bustling. As described by artist Alan Hounihan, “any landscape is a work-in-progress subject to the continual processes of physical change. Even a farmed or managed landscape is a constantly changing canvas, a palimpsest shaped by human needs and work to which each generation adds a new layer.” The ‘layer’ added by the 21st century community in Claregalway is colourful, bustling and optimistic. With the growing urbanisation of Claregalway, and the covering of layers of history with modern amenities however, it is very easy for the unique past of Claregalway to be forgotten or lost. The History of Claregalway section below has been curated by Claregalway Historical & Cultural Society and we welcome any and all contributions. In 1999, Claregalway Historical & Cultural Society initiated a FÁS sponsored scheme which began the enormous task of documenting Claregalway’s local history, which is provided here with kind permission from the society. These local stories are taken from the April 2004 Nuacht Chláir archives. Check out the full archive, dating back to 1996, here. 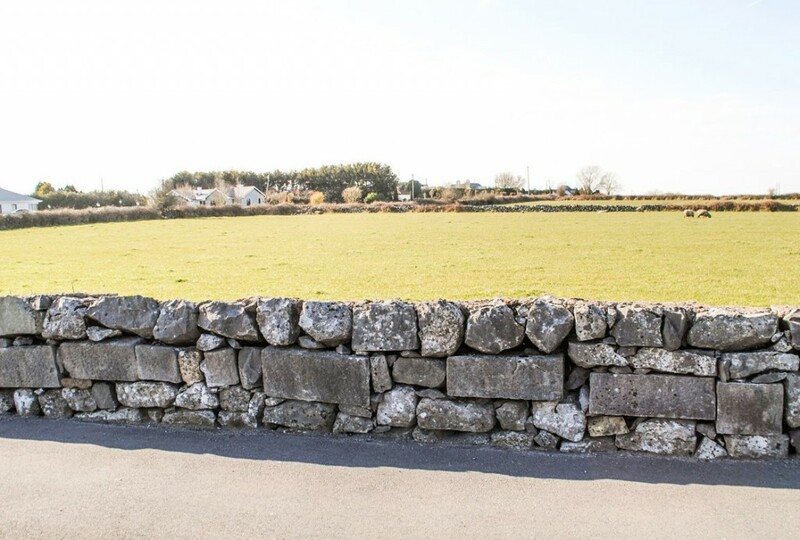 Next time you’re stuck in traffic coming into the village from the Galway side, see if you can spot these odd stones in the wall. The long cut stones were taken from the original Nine Arches during its restoration, and used to rebuild this wall (just before the bus lane ends). Pictured is Hughes’ original house, supermarket and post office (formerly a weaver’s cottage). Keep an eye on Hession’s chimney in the left of the photo to see the transformation from the 1970s to present day. 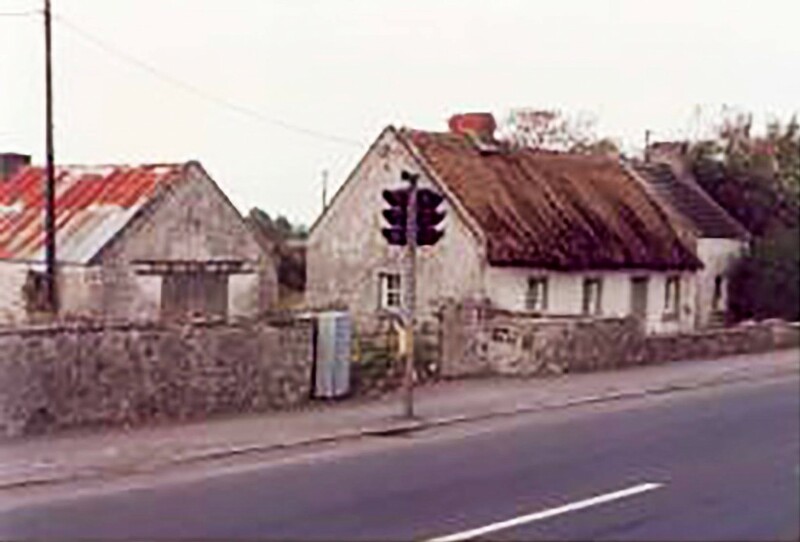 This cottage belonged to the Skerrets in the 1970s. Michael Skerret was a carpenter who specialised in making horse and donkey drawn carts and wheels, and his sister Maggie was a dressmaker. Now on the site is Hughes Supermarket, at the busy N17/N18 junction. Anything you’d like to add? Get in touch or submit stories and photos here.